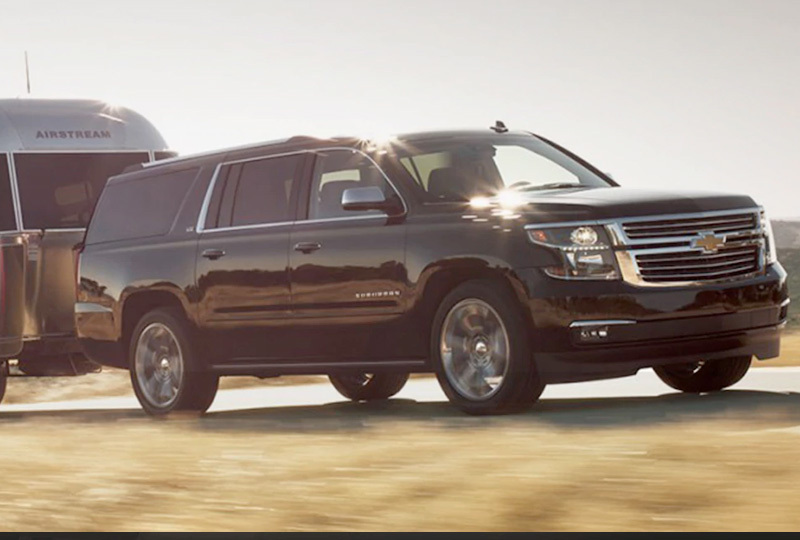 The 2018 Chevrolet Suburban from Jones Chevrolet Cadillac in Sumter, SC, serving Columbia, is the ultimate vehicle for families who want plenty of room to stretch out and tons of features to make the journey easier. A stunning exterior inspires confidence and provides plenty of convenience with standard, black assist steps and roof-mounted luggage side rails. Fuel every new adventure with the aggressive force of the 5.3L EcoTec3 V8 engine, which offers a standard 355 horsepower. For excellent traction and control in any type of driving condition, upgrade your vehicle with the available all-wheel-drive system. A spacious interior is capable of holding up to nine passengers with all the seats up, or a ton of cargo, thanks to split-folding rear seats that go down flat. Keep your valuables safe when you hop out to enjoy the view with a lockable storage compartment hidden inside. 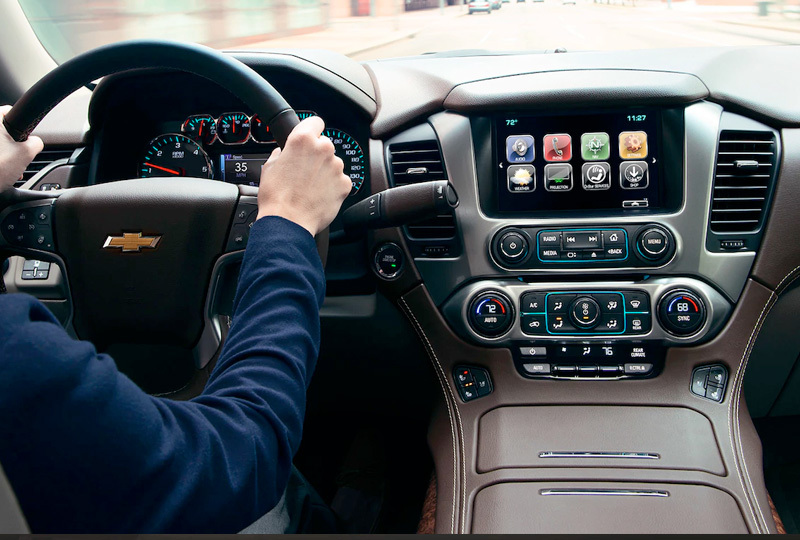 Chevrolet MyLink provides entertainment options on an 8-inch touchscreen display, and Apple CarPlay and Android Auto make sure your favorite mobile phone apps are easily accessible through the system. It's a great day to buy a new Chevrolet. New auto loan rates are lower than ever, and we've got amazing deals you have to see to believe. You can take your test drive today when you visit our showroom at 1230 Broad Street in Sumter. We can make your dreams of owning a 2018 Chevrolet Suburban come true! 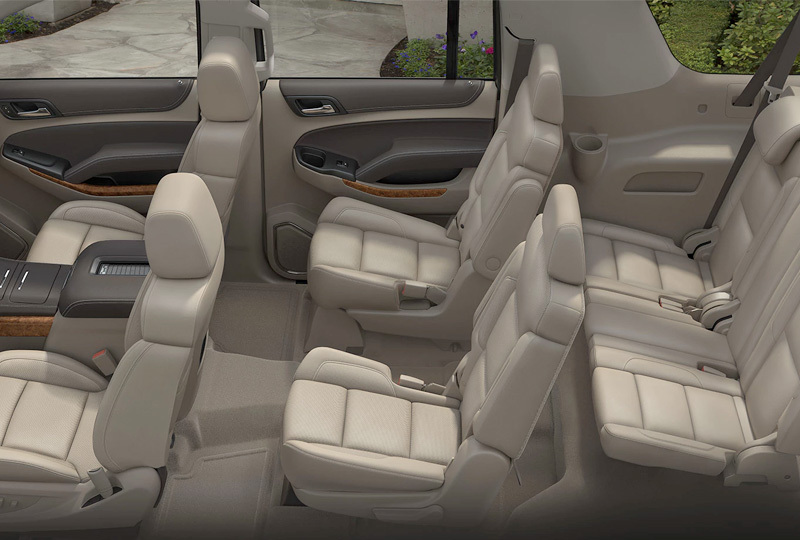 The interior of this SUV with comfortable seating up to nine feels like home. It was designed to make every drive you take a relaxing one. Suburban features a powerful 5.3L EcoTec3 V8 that delivers a unique combination of performance and fuel economy ‐ giving you efficiency without compromising power and towing capability up to 8,300 lbs. The lightweight suspension helps optimize fuel economy, offering a best-in-class V8 fuel economy of 23 MPG highway while still being stiff enough to maintain the excellent ride this large SUV is known for. Available built-in 4G LTE Wi-Fi® helps keep your family connected and entertained when you're on the road, while the available 8-inch diagonal reconfigurable cluster with Driver Information Center and available Head-Up Display provides easy access to all the information you need for the drive. 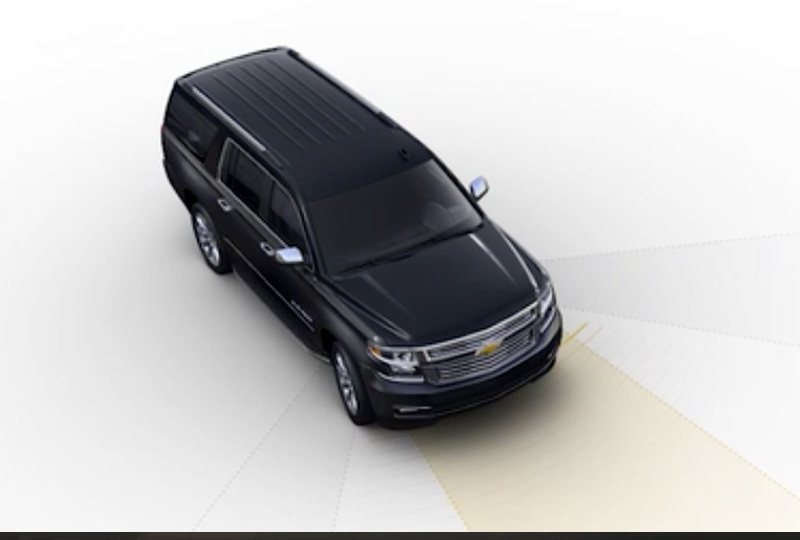 When Suburban is traveling below 50 mph and the system senses that a front-end collision with a detected vehicle is imminent, this available feature automatically applies the brakes to potentially help reduce the severity of impact. It may even help avoid an accident altogether at very low speeds.